Jump to Lemon Spa’s menu. In the third post of my “Be My Guide to Your East African City" series, I asked about your favorite local spa. I also mentioned that it dawned on me that I had never been to a spa before, having always received my beauty and body treatments in beauty salons or fitness facilities. I also realized that although I used to go for massages all the time when I lived in Nairobi, I had never had a massage in Dar es Salaam ever since I moved here. Shortly after publishing that post, I was graciously invited by Ramona Kashmiri, the owner of Lemon Spa in Masaki, Dar es Salaam, to visit Lemon Spa for the first time and sample some of the treatments offered there. Where Is Lemon Spa Located? I had often seen Lemon Spa before because it’s located next to George & Dragon, an English-style pub that I like a lot. At the appointed time and date, I easily made my way there, where upon arrival I was greeted warmly by a friendly and professional receptionist. Although I am a big fan of massages and was keen to have my first massage in Dar es Salaam, I asked Ramona to recommend some beauty treatments to try. I was scheduled for a Vanilla–Almond Pedicure and a Singo Scrub, a traditional Zanzibari treatment. After confirming the details of my appointment, the receptionist recommended that I begin with my pedicure. READ ALSO: Are All Pedicures Equal? She led me to the nail treatment area, separated from the rest of the day spa by wrought-iron-and-cloth screens. There, she offered me a seat, introduced me to my esthetician for the day, gave me some reading material, and offered me a drink. Within no time, my feet were soaking in a wooden bucket of warm water, and my pedicure was under way. A pedicure is a pedicure is a pedicure (or is it? ), but unlike many pedicures I have received at other beauty establishments in Dar es Salaam, where beauticians think nothing of yelling across the room, conversing with fellow beauticians and customers, the ambiance at Lemon Spa was one of quiet calm, serenity and pampering. Phones were to be switched off or put on silent, and it was clear that the focus of the spa was its customers having a relaxing and rejuvenating experience. With my pedicure complete, it was time for my scrub. Although I had given myself body scrubs at home before, I wasn’t quite sure what to expect from a professional one. Soon to find out, the esthetician led me to a pink-hued (much to my feminine delight!) room with a pink-kanga–covered massage table at its center. She handed me another pink kanga, with the instruction to undress, as she left the room to give me privacy. Knowing the drill, I stepped out of my clothes, lay on the massage table, and covered myself with the kanga as I waited for the body scrub to begin. A body scrub is a treatment in which a lightly abrasive substance is rubbed on the body to exfoliate and hydrate the skin, leaving it soft and smooth. In the case of the Singo Scrub, the abrasive substance is a blend of Jasmine, Rose, Ylang Ylang, Mpatchori (a sweet-smelling herb that grows in Zanzibar–not patchouli), Geranium, Sweet Basil, Sandalwood, and Rose water—hardly what comes to mind when you think of the word ‘abrasive’. For about half an hour, the esthetician rubbed this delicious mixture onto every inch of my body (well…almost  ). When she was done, and I was feeling completely pampered, she directed me to the shower area where I had a long hot shower to wash the scrub off. My skin was soft and super-hydrated, and I smelled d-e-l-i-c-i-o-u-s (much to the delight of the first person I hugged hello after leaving Lemon Spa)! READ ALSO: Uber Launches in Dar es Salaam, Tanzania. Looking for a good massage in Dar es Salaam? Look no further, check out Lemon Spa. I’ve been back to Lemon Spa several times since that first day and have tried other treatments they offer: I’ve had my eyebrows threaded (and loved the results! ), had a massage (I finally got my first massage in Dar es Salaam!) and a facial (the Calming Green Tea Facial is H-E-A-V-E-N-L-Y! ), and had body hair removed through waxing. The one thing that has been consistent across all my visits to Lemon Spa—other than the pleasure and pampering I’ve received from their treatments—has been the friendly and professional manner in which these treatments were carried out. 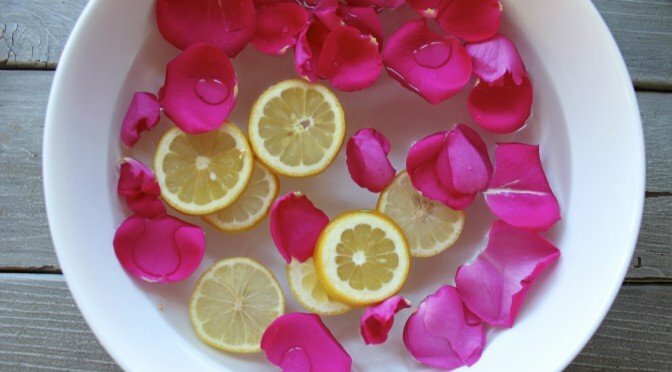 If you are in Dar es Salaam or Arusha and need beauty or body treatments done (or are simply in the mood for some much-needed pampering and relaxation), then I wholeheartedly recommend that you pay Lemon Spa a visit. 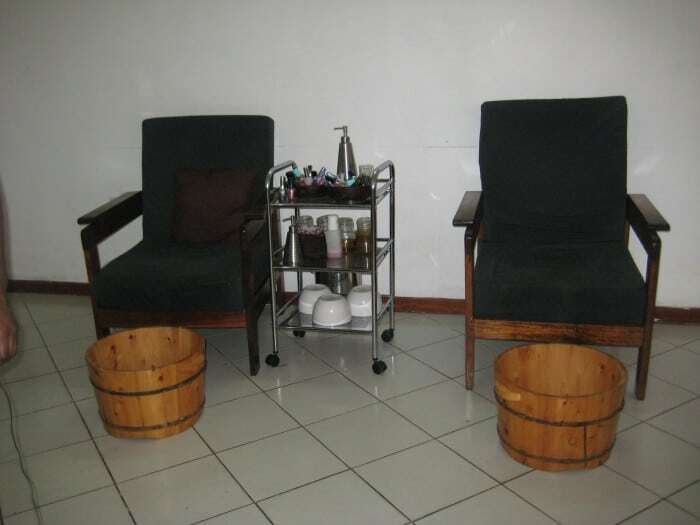 Lemon Spa caters to both men and women, and has branches in both Dar es Salaam and Arusha. Scroll down to see their full menu of services, or simply click here to jump right to it. In case you are not interested in visiting Lemon Spa yourself but would love to give someone else the gift of pampering and relaxation, then you’ll be pleased to know that Lemon Spa offers gift vouchers too. To offer the gift of massage in Dar es Salaam or Arusha, click here to see what massages Lemon Spa offers. To schedule an appointment (e.g., for a massage in Dar es Salaam), or for more information, call +255-754-814531 (for Lemon Spa Dar es Salaam) or +255-762-320120 (for Lemon Spa Arusha). Once you’ve experienced the pleasure of Lemon Spa for yourself, come back and leave me a comment telling me all about it. As always, I look forward to hearing what you have to say! P.S. This post was sponsored by Lemon Spa. If you’d like to let others know about your East African product, service, establishment, or event through Chick About Town, send me an email ([email protected]) to find out more. P.P.S. Have you subscribed to Chick About Town yet? If not, subscribe by email to know as soon as a new post is published. You can also join the conversation on Twitter or on Facebook for daily musings on living & lifestyle in East Africa. Signing up is free and easy! P.P.P.S. Are you a blogger who is frustrated about not earning enough from display ads on your blog? If so take a look at this free service from a Google Certified Publishing Partner that helps you do just that. Wherever possible indigenous products are used which helps to support local markets (with the exception of certain essential oils and facial products). Otherwise all products are 100% natural; containing no preservatives or added ingredients/colouring. If you are specifically looking for a massage in Dar es Salaam or Arusha, click here to skip to that part of our menu. All prices are in Tanzanian shillings. 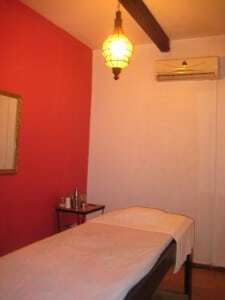 Looking for a wonderful massage in Dar es Salaam or Arusha? Here’s what we’ve got to offer to you. A blend of essential oils which helps soothe away muscular & nervous tension & assists lymphatic drainage. Focused & intensive, this massage is true to its name, going deep into the layers of soft tissue to provide relief to sore, tired & tense muscles. Designed to address heaviness, fluid retention & general discomfort. Improves circulation & swelling, particularly useful after a long flight. Relax & enjoy a warmed blend of Aromatherapy oils to stimulate the scalp. This treatment helps to invigorate the hair follicles promoting healthy hair. Harmonises your chakras! 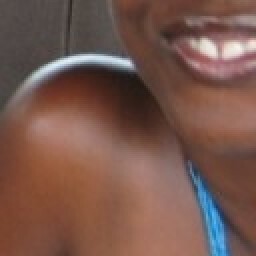 If you are interested in having a massage in Dar es Salaam or Arusha? Be sure to give us a call! Indulge in this delectable mix of coffee & cinnamon. Coffee is rich in antioxidants, natural fruit acids & caffeine. Stimulates circulation & reduces cellulite. Cinnamon contains exceptionally high antioxidant properties, helping to dispel free radicals & protect against future damage, it contains mild astringent properties & is abundant in antibacterial & antimicrobial benefits. Lemon Grass has analgesic, antiseptic, anti-fungal and astringent properties to name a few. Also helps keep the mosquitoes at bay! A natural scrub traditionally used when one is preparing for marriage. 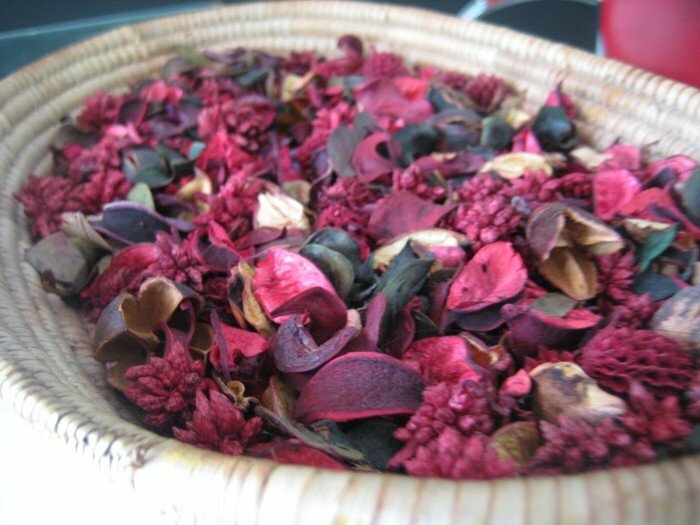 “Singo" is prepared from fresh jasmine, ylang ylang flowers, rose petals, mpatchori (not patchouli) mpompia (geranium), mrehani (sweet basil) & liwa (sandalwood) ground together in a “kinu" (pestle & mortar) with a little rosewater. Exfoliates the skin, leaving it fragrant & as soft as silk. For a satisfactory outcome we recommend a facial treatment every 4 to 6 weeks depending on the skin’s condition. Vitamin E treatment. The main element is important food for the skin. It is an antioxidant & helps protect the skin with its anti-aging properties. Tea tree oil comes from Australia, where Aborigines have been using it as an antiseptic to treat cuts & burns for thousands of years. By using a steam process, the oil is distilled from the leaves of a tree called Melaleuca alternifolia, which was given the name “tea tree”. It has the potential to improve your skin by treating acne, psoriasis, eczema & many other conditions. Seaweed nourishes, protects & increases circulation making it vital to maintaining a healthy skin. It is packed with vitamins A1, B1, B2, B6, B12, C, E, & K, minerals, trace elements, & amino acids. Rich in antioxidants such as beta-carotene. Seaweed also contains fatty acids to combat skin irritation & inflammation. Includes a vanilla–sugar scrub for exfoliation & a relaxing foot massage. Excellent for dry, rough skin. Coffee is rich in antioxidants, fruit acids & caffeine. Cinnamon contains exceptionally high antioxidant properties. It is a natural antiseptic & anti-fungal agent. Super exfoliating! Includes a lime foot soak, lemon Grass scrub & a lemon grass oil foot massage. Also helps keep the mosquitoes at bay! Great for arthritis, aching muscles & poor circulation. One hour Deep Tissue Massage & Lemon Facial (with steam) & Coffee & Cinnamon Manicure & Pedicure. and it was very delightful and relaxing. Really good experience and friendly service ! Thanks for taking the time to come back and leave a comment on this post. I am glad you had a wonderful time at Lemon Spa. Which treatments did you do? Are there any that you would particularly recommend to others? Would you like to join our mailing list [email protected] We update you with new treats and special offers. Welcome to Chick About Town! Thanks for the kudos on my post and for leaving a comment.